"Government forces in Cameroon's anglophone regions have killed scores of civilians, used indiscriminate force, and torched hundreds of homes over the past six months," the rights group said in a report. "Since October, at least 170 civilians have been killed in over 220 incidents... according to media reports and Human Rights Watch research," it said. "Given the ongoing clashes and the difficulty of collecting information from remote areas, the number of civilian deaths is most likely higher," it added. The government sent a letter to HRW denying "exactions" by the army described in the report, the group said. English speakers, who account for about a fifth of Cameroon's population of 24 million, have chafed for years at perceived discrimination in education, law and economic opportunities at the hands of the francophone majority. On October 1 that year, separatists declared the creation of the "Republic of Ambazonia" in the two regions, named after the local Ambas Bay. The declaration has not been recognised internationally. 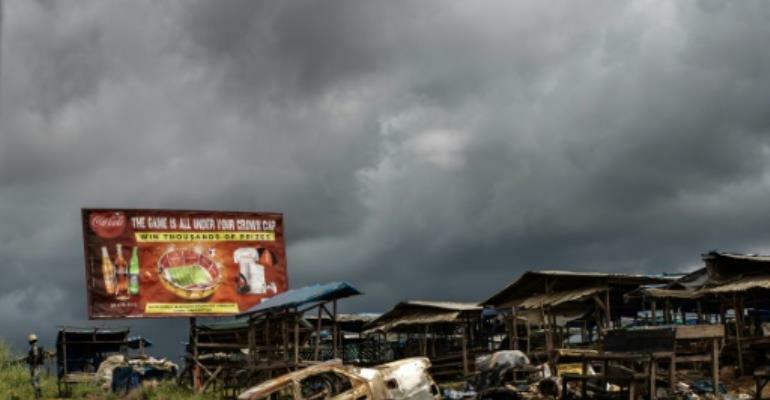 "Cameroon's authorities have an obligation to respond lawfully and to protect people's rights during periods of violence," said Lewis Mudge, HRW's Central Africa director. "The government's heavy-handed response targeting civilians is counterproductive and risks igniting more violence." Some 437,000 people have fled the fighting, according to the United Nations, which called Tuesday for $184 million (163 million euros) to help the displaced.